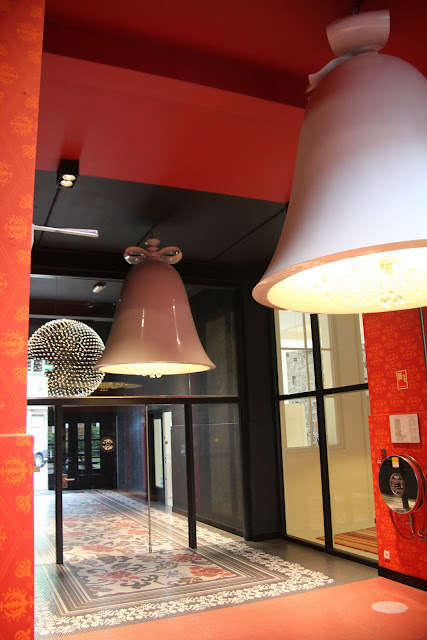 These incredible custom made oversized Big Ben bell-shaped lamps are enormous. 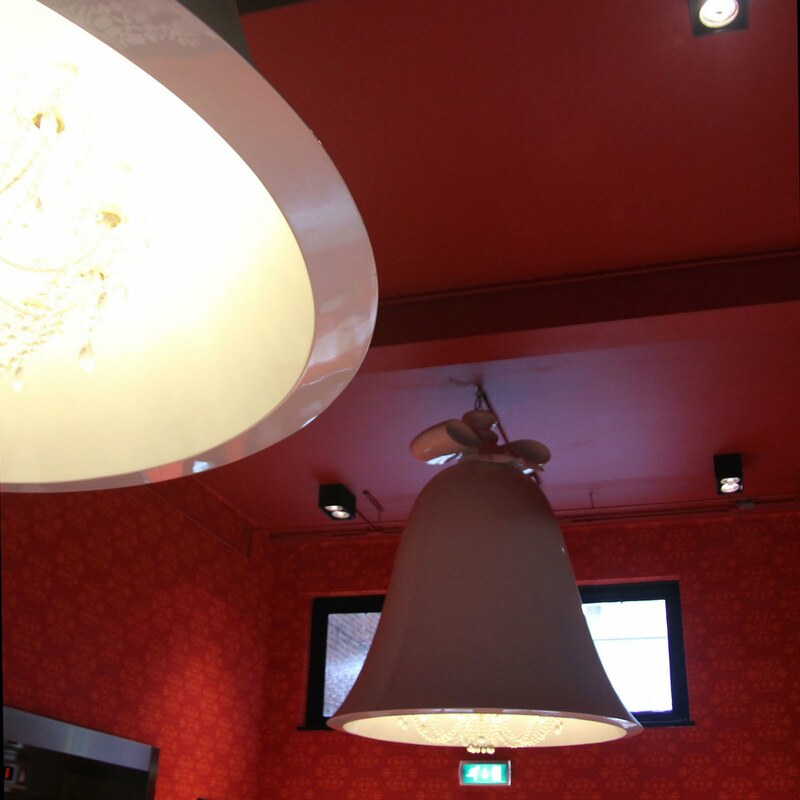 Two of these lamps dominate the red entrance hall of the Amsterdam studio of Marcel Wanders. 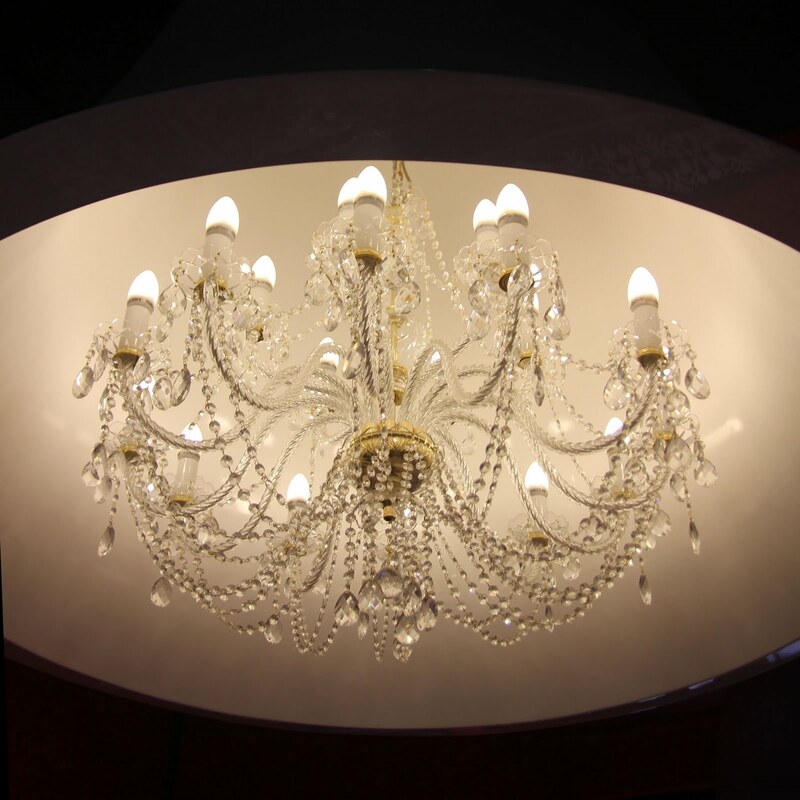 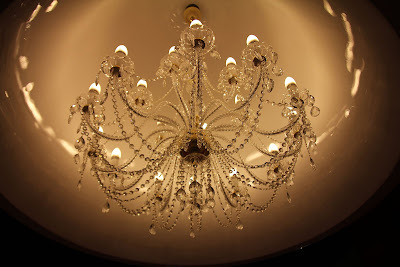 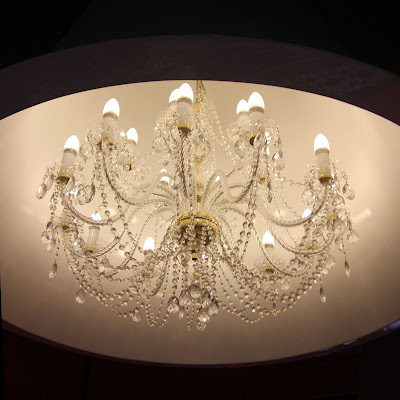 Each of these lamps has a white high-gloss finish which reflects the light of neo-classical internal chandelier. Each bell-shaped lamp comes complete with a bell ribbon. Each jaw-dropping bell-shaped lamp measures 1.5 meters by 1.75 meters (that's about the average length of a person). 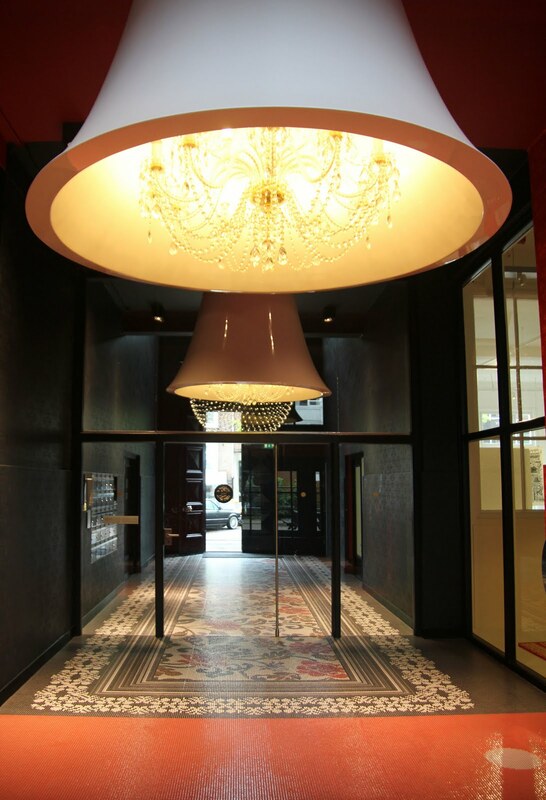 Note the custom mosaic floor which Marcel Wanders designed for the entrance (first and second image).